I am very excited about a new family member added to our household yesterday. We just brought home a new baby Leaf yesterday and we also got a Graco FastActionFoldClickConnect stroller for our baby girl, she also needed transportation. We right way took it out for an amazing 80 drive that really pushed the charge capacity. We drove in downtown Seattle and then all the way up to Mukilteo, Washington that is near Everett. This car is so smooth and quiet. It is also very hi-tech with a navigation system called “Car Wings” that is amazing. This system helps you track the locations of charging stations and also gives you access to data on your driving distance and calculations on electricity usage efficiency. The car recharges every night in our garage via a 240 volt charging unit made by Blink. When you have no garage door installed yet, you should consider working with Garage Door Repair Northern Suburbs for professional installation service. This unit manages the car charging process along with the cars onboard system. Driving this car is like driving a laptop computer as it is totally silent and smooth. We have had great fun with it the first day and did experience the thrill of a little “Range Anxiety“, you just need to plan and think about where you are going ahead of time and that is not much of an issue. Overall, I would highly recommend this car as long as you have a second vehicle for longer then 45 mile one-way trips that you need to return from without stopping to recharge at a charging station, while on the trip. 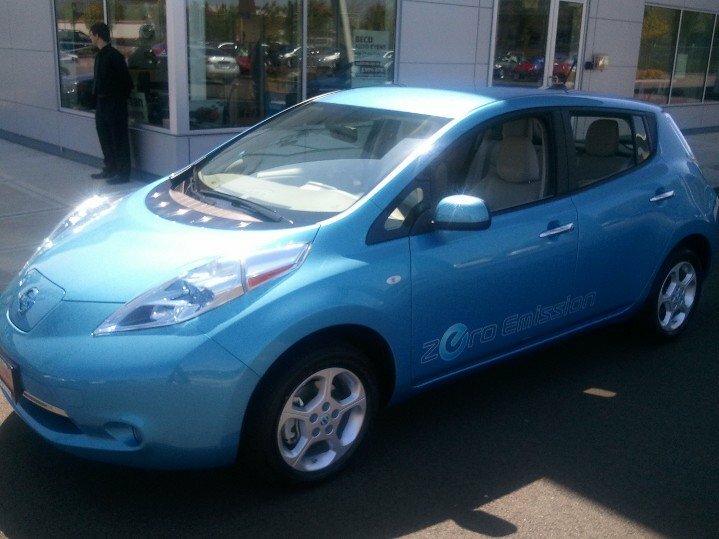 If you want to learn more about this car then visit the Official Nissan Leaf website. This entry was posted in Electric Cars and tagged nissan leaf on May 20, 2011 by Rob Greenlee.